Matt Hancock said ditching the backstop through an amendment tabled by the chair of the Conservative Party’s 1922 Committee Sir Graham Brady is the only way the EU will be able to get a deal that works for the bloc too. Mr Hancock revealed Theresa May’s plan to the BBC, saying: “I think we have got to listen very carefully to people who are willing to vote for the deal subject to some amendments." He added the government will this week “assess what will have a majority in the Commons and take it to the EU and say 'that's the way to have a strong, positive relationship’”. 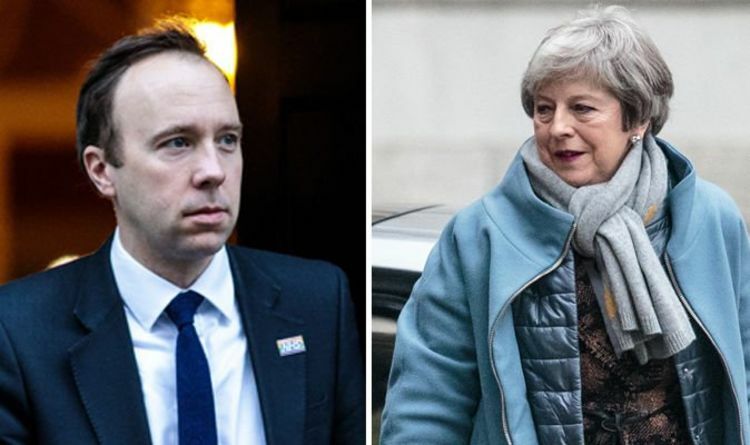 The Health Secretary’s comments came after it had been thought Mrs May was considering a customs union after being privately told by European Commission president Jean-Claude Juncker a softer Brexit is the only way to rectify the backstop deadlock. Mrs May is staring at another Commons humiliation on Tuesday when MPs vote again on her barely-changed Withdrawal Agreement Plan B. Numerous MPs have tabled amendments in a last ditch effort to save the deal which Mr Hancock said he “understands”. He also praised Sir Graham Brady’s amendment. Mr Hancock told ITV: “I think that the efforts that those who are backing that amendment have gone to to bring people together have been extremely valuable." That amendment requires the government to replace the backstop with alternative arrangement. If it passes by a strong enough majority it could give the Prime Minister enough leverage to persuade the EU to alter the backstop in the hope of getting the Withdrawal Agreement over the line. Hilary Benn’s amendment would also force the government into holding a series of indicative votes on what Parliament would support which could also strengthen Theresa May’s hand. But the March 29 deadline is approaching and Yvette Cooper’s amendment would force the Prime Minister to cede Brexit powers to Parliament if she has not got a deal through Parliament before the end of February. Other amendments which will be considered by MPs immediately before the Tuesday vote include putting a time-limit on the backstop, an option favoured by Brexiteers but repeatedly shot down by Ireland and the European Union. Ireland’s Foreign Minister, Simon Coveney, today said there is no chance his country would water down the backstop. Mr Coveney added it was not a “reasonable” request and warned Mrs May that “Ireland will insist on the United Kingdom keeping its word". Ireland’s deputy leader said: “The European Parliament will not ratify a withdrawal agreement without a backstop in it. It’s as simple as that. However, Mr Hancock insisted Ireland’s position does not mean Mrs May’s deal is “dead in the water”. He said: “The whole purpose of the backstop is to avoid a hard border, which risks being a consequence of a no-deal Brexit”.